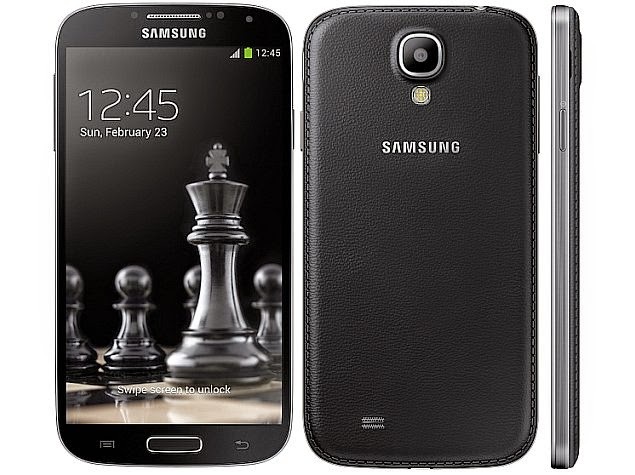 How to Install Android 5.1 Lollipop on AT&T Galaxy S4 with GamerROM. GamerROM is therefore based on pure Android 5.1 Lollipop OS which means that the firmware isn’t pre installed with carrier apps, or restrictions and also TouchWiz UI isn’t featured on the Lollipop platform. Therefore, on your AT&T Galaxy S4 you will now be able to experience a smooth Android 5.1 OS that can be easily customizable. Moreover, thanks to the features that can’t be usually found on the default Android system, now you will be able to improve the performances of your device for gaining more power, upgrade the speeds and improve the battery life. Ensure root access on your AT&T Galaxy S4 because an unofficial Android system can be installed only if the current Android OS is unlocked – the custom ROM will modify and change in built settings, programs and features. Install a custom recovery image on your phone – a custom ROM, like the GamerROM, is offered in form of a .zip file. Well, an unofficial .zip update can be safely flashed only through a custom recovery platform (such as CWM or TWRP recovery), so don’t go any further without completing these tasks. Be careful as this is a complex process and you can brick your phone if you mess things up – if something bad happens, don’t hesitate and check how to fix most common Android related issues. Backup your AT&T Galaxy S4 before starting to install Android 5.1 Lollipop OS. Make sure you save everything that’s important including texts, call logs, contacts, EFS folder, market apps and other personal data, info and accounts – you can use backup and restore tools from Google Play in that matter. Make a Nandroid backup and save the current ROM that runs on your S4 as who knows when you will need to make a downgrade to stock operation – for example, if the GamerROM isn’t performing as you expected. Good; now you know how to prepare your AT&T Galaxy S4 before updating your phone to custom Android 5.1 Lollipop OS. But, the preparation tasks aren’t over yet; you still have to make sure that you can use a computer, your phone and its USB cable as this is a manual update operation. Thus, on your device you should enable USB debugging option (first gain developer rights and then check the mentioned option from “menu – settings – developer options”) and you should also charge your smartphone if the battery power left is currently lower than 50% – you can brick your SGS4 if your phone gets turned off in the middle of the flashing process from below. First, from this page download the update firmware file on your computer. Don’t unzip the file, just place it on desktop. Then, transfer the update package on your smartphone – connect your SGS4 with your computer via USB cable. When done, remove the USB cable and also turn off your phone as you need to enter recovery mode on your handset. Once in recovery, use the main menu and select the following options: “wipe data factory reset”, “wipe cache partition” and “wipe dalvik cache”. After doing so, from main menu of recovery select “install zip from SD card” and “choose zip from SD card”. Pick the Android 5.1 Lollipop firmware package and install the GamerROM system on your AT&T Galaxy S4. Wait while the update is being flashed; in the end go back to main menu of recovery and select “reboot system now”. That’s it; go ahead and test the GamerROM firmware on your smartphone and see how the Android 5.1 Lollipop OS runs.